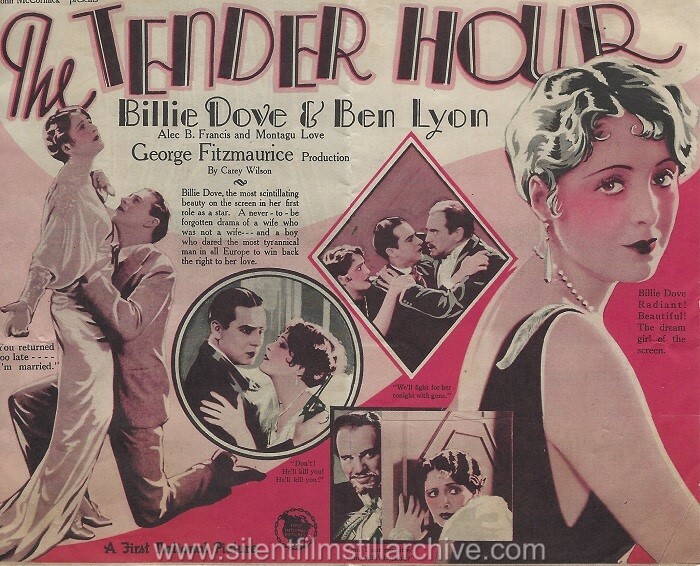 Billie Dove, the most scintillating beauty on the screen in her first role as a star. A never-to-be forgotten drama of a wife who was not a wife -- and a boy who dared the most tyrannical man in all Europe to win back the right to her love. Billie Dove Radiant! Beautiful! The dream girl of the screen. "You returned too late - - - I'm married." "We'll fight for her tonight with guns." "Don't! He'll kill you! He'll kill you!" "Am I not permitted in my wife's boudoir?" 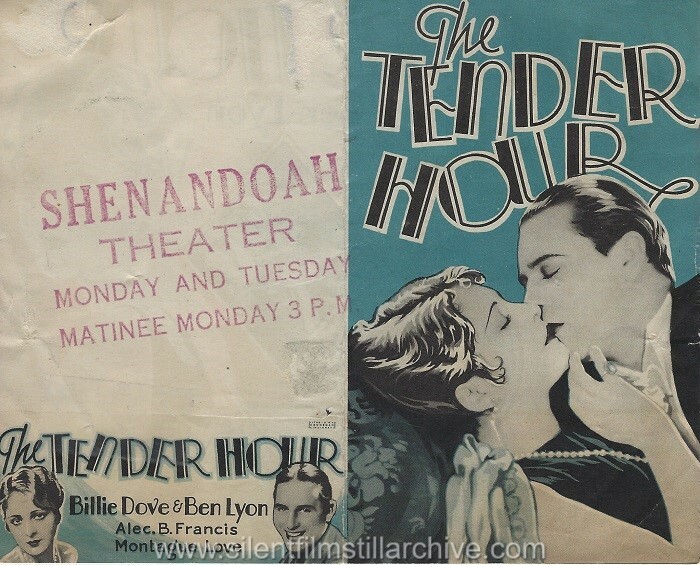 with Billie Dove, Ben Lyon and Montague Love. Directed by George Fitzmaurice. First National.